I know in my series featuring the Painted autumn product suite I have used different stamps and paper, but sometimes you just have to use the signature pattern. And for this suite it is all about the sunflowers. So I think it is very fitting to finish this series with two projects that highlight just that. 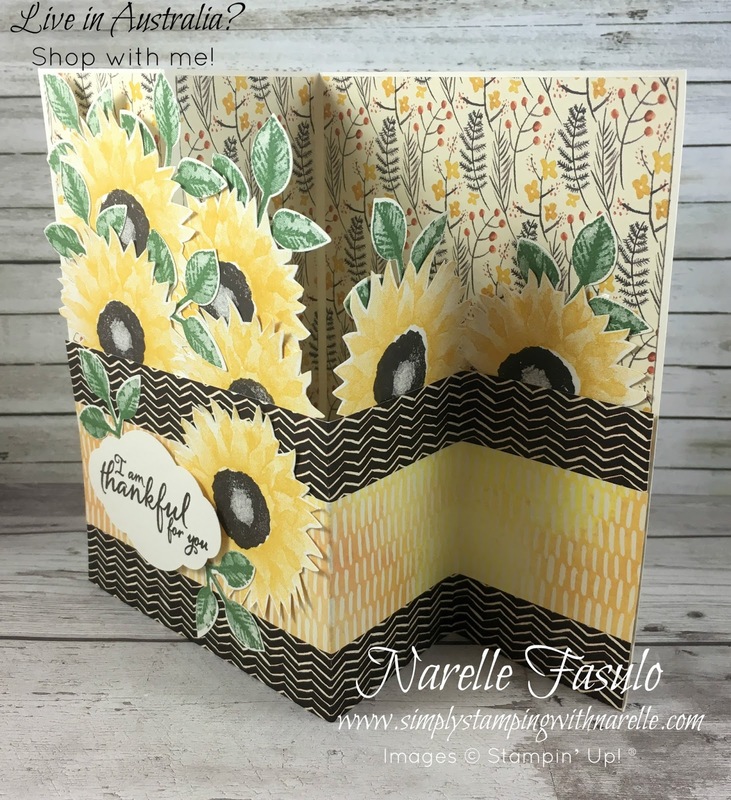 The first project features the amazing designer series paper and the second , the magnificent sunflower stamp. These two projects were part of the Painted Harvest Stamping By Mail class in September. 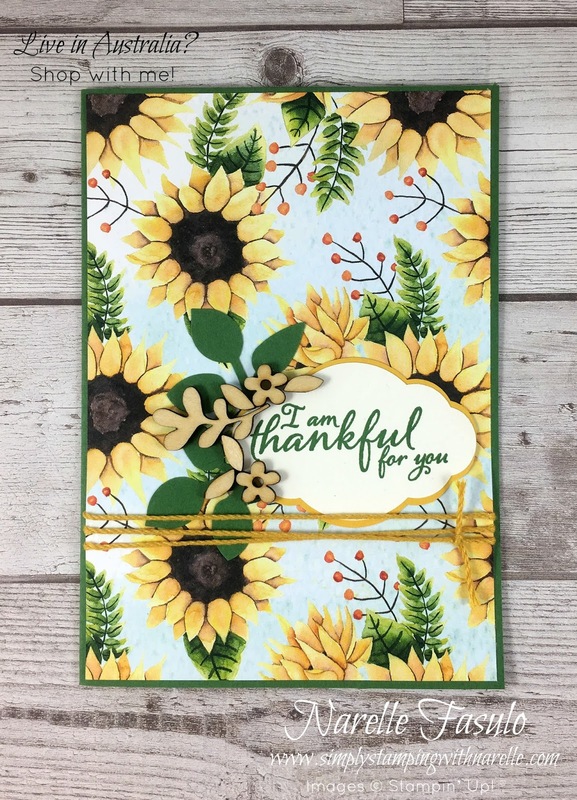 if you want me to teach you how to make cards like this, then why not register for my next Stamping By Mail Class. Three great classes to choose from. The products, project kits and tutorials are delivered straight to your door. You can then make them in the comfort of your own home when it suits you.